The Sonoma Valley Newcomers hosts several types of outings during the year. Some are for members only and others welcome members’ guests. We hold several members-only luncheons during the year. These luncheons are typically held on the 3rd Thursday of the month, except for July, August, October and December. Dates and times may be subject to the availability of venues. Luncheons are held at local restaurants and may include a speaker chosen from the Sonoma Valley. 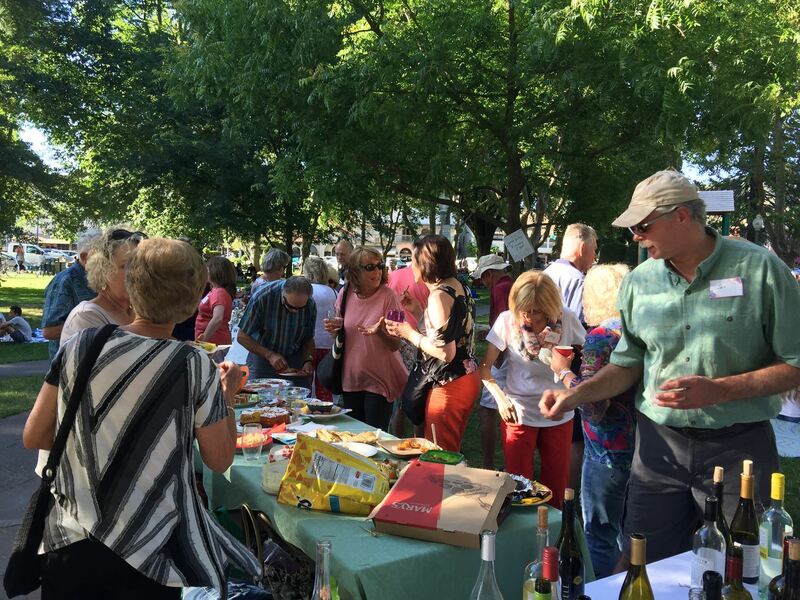 Seasonal Member-Guest Socials Held three times a year at a member’s home or a venue in town. Members are expected to bring an appetizer and beverage to share. Holiday Social This annual event is typically held at a local venue. Members are invited to bring spouses or partners. Picnic at a Local Winery This annual event is held in June. Wine tasting may be included in the price. Newcomers Nights at the Tuesday Farmers’ Market From May until October, the club may host various gatherings of club members and their guests at a designated spot in the Plaza in conjunction with the Tuesday Night Farmers’ Market. Members bring food and beverages to share AND their own lawn chairs!